Ellery Quixote - Crystal Grey Need Help? 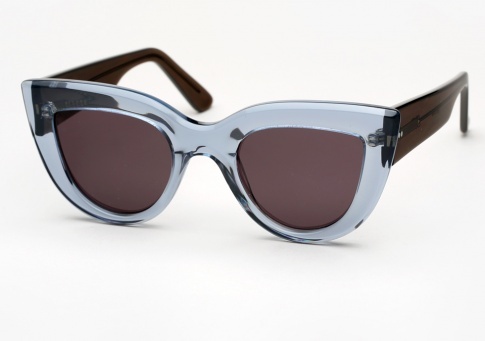 Together Ellery and Graz collaborate for these landmark and extremely hard to find cat-eye “Quixote” shades. Long sold out for several seasons, after repeated requests, they are back with a new limited edition colorway exploring a monochromatic grey spectrum. The sleek and chic, one of a kind cat-eye design is offered here with a crystal grey blue front, dark grey temples, and finished with smoke grey lenses.